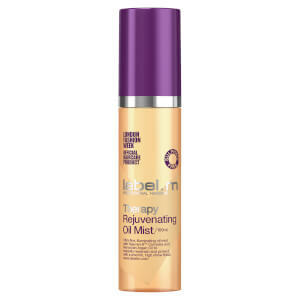 Transform dull, lack-lustre locks with the Rejuvenating Hair Oil Mist from label.m. Specially formulated with the brand's unique Rejuven8™ Complex to replenish hair and leave it smooth, frizz-free and luminous. Enriched with Moroccan argan oil, the non-greasy spritz protects from heat styling, strengthens the hair's structure and boosts radiance so you can achieve healthy-looking locks.